The Kerala assembly resolution has listed out reasons why they opposed GM mustard. It says it is not proved that genetically-modified crops give more yield than normal varieties and that GM crops attract new pests and controlling them needs the use of highly hazardous and expensive chemical pesticides. Thiruvananthapuram: The Kerala Legislative Assembly today unanimous passed a resolution rejecting genetically modified or GM Mustard seed. Just a little over a week ago, on May 11, the apex body that clears GM crops, the Genetic Engineering Appraisal Committee, had approved commercial cultivation and sale of GM Mustard and it was awaiting final approval by Union environment minister Anil Dave, who died yesterday. Kerala's agriculture minister VS Sunil Kumar pointed out that the cultivation of genetically-modified seed varieties is subject to authorization from both the centre and state governments. Approval by the centre makes rejection by a state meaningless as GM crops do not look physically different from non-GM crops and therefore they could easily sneak in. So far only two genetically-modified crops, Bt cotton, and Bt brinjal were approved by the centre for commercial cultivation. Permission for Bt brinjal, which was given in 2009, was withdrawn by the centre itself in 2010. The resolution pointed out that the centre had not allowed genetically modified crops as there were health and environment safety issues. "Hence by approving GM Mustard the central government is putting the health of the people and the purity of farming at risk. India is aiming to achieve self-sufficiency in edible oil, and using this as pretext some vested interests are trying to push through their sinister agenda of approving GM Mustard," the resolution said. 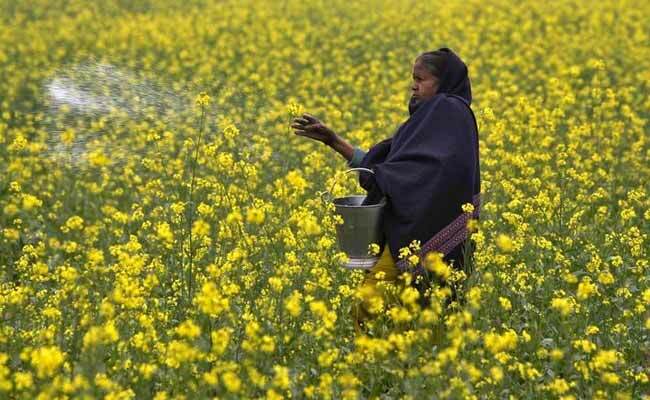 At least 72 crop species are undergoing genetic-engineering and those who oppose GM crops argue that once GM Mustard is approved, the others would be pushed for clearance too. A parliamentary standing committee on agriculture had suggested that even field testing of GM crops should be stopped. The Kerala assembly resolution has listed out reasons why they opposed GM mustard. It says it is not proved that genetically-modified crops give more yield than normal varieties and that GM crops attract new pests and controlling them needs the use of highly hazardous and expensive chemical pesticides. New kinds of fertilizers would also be necessary to support crop growth. The resolution also raises concerns about ecological and health issues and says it is expensive and could destroy the gene pool of indigenous varieties. Concern has also been raised about GM crops being the property of monopoly companies, though the GM mustard under consideration is developed by an Indian scientist. Threat to organic farming and also honey bee population that feed on mustard, and are important for pollination, has also been raised by activists. Several other states in the country, including Delhi and Odisha have also rejected genetically modified crops.